Pirate Fitness is a privately owned Health Club boasting great leisure facilities including cardiovascular and resistance machines, free weights, sprung floor dance studio, spin bikes, sauna and much more. Pirate Fitness is conveniently located near the centre of Witney. 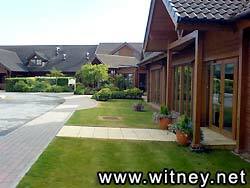 "Witney Lakes is Oxfordshire's unique business and leisure facility which combines a golf course, private health club, beauty salon, hairdressers, special occasions complex, restaurant and business conference centre. Witney Lakes has an active programme of events for both members of the clubs and members of the general public." Windrush Leisure Centre is located in the heart of Witney and has provided excellent facilities with friendly, qualified staff since 1975. 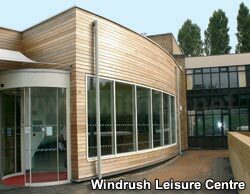 With a wide range of activities and facilities available, Windrush Leisure Centre has something for everyone. Facilities include a 25 metre pool, teaching pool, 4 court sports hall, 5 squash courts, The Mill health and fitness studio and much more! There are a number of tennis courts available for hire on the Leys Recreational Park off Station Lane in Witney and one at the school in Ducklington. 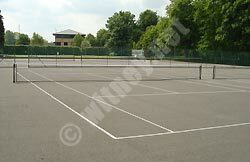 There are also 4 courts at the West Witney Recreation Centre.